Hammam is a Moroccan tradition which is a combination of spa/sauna or simply put a 'steam room', where with the help of different products the body is cleansed until it glows. 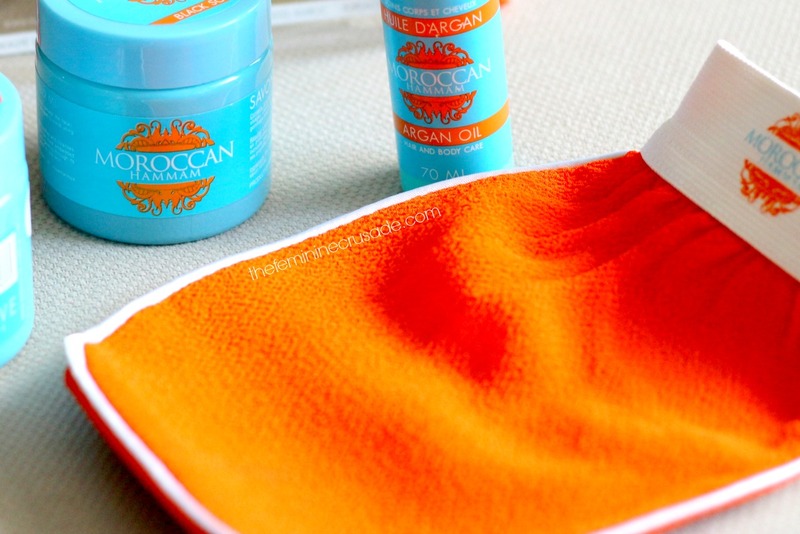 The website Moroccan Hammam has come up with a Hammam Kit that helps you cleanse your body at home while attaining the same benefits. Or if you have a hammam near your place, you can just take this kit along. This kit is originally priced at $96 but currently on sale it is available for $42. In the beginning, it was all quite confusing for me. What to use where, how to use it, blah blah. I figured it out after reading a couple of reviews but to make things easier for you there is an infographic down below that best summarizes these products. 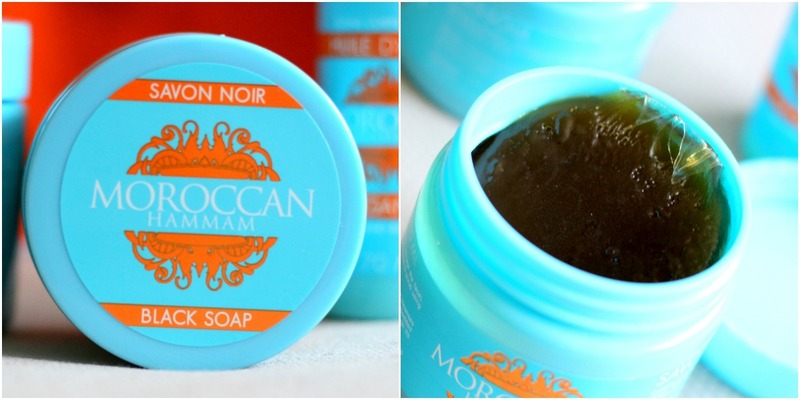 Moroccan Hammam Black Soap has a waxy appearance but surprisingly when I touched it, it was far from waxy. It melts right into the hands. It is a soap which is massaged all over the body and left on for 10-15 minutes. It has a slight medicinal scent to it, I wish it smelled refreshing but at least it wasn't bothersome. After washing off the Black Soap completely, I use this Kessa Glove to exfoliate my skin. And boy it feels gooood! The exfoliating glove is slightly harsh so definitely not for the face. But it makes my body super clean and smooth. Rassoul is a mud mask. It is a personal preference you use it before your bath or after or just on another day. I applied it all over my face and neck excluding the eye area. And jeez! It is the tightest mud mask I have ever come across. It almost made my face feel like stone. But whatever that sensation is it feels kinda pleasant, I can feel the product working, cleansing impurities and tightening my pores. I let it dry and then wash it off with water. It comes off quite easily. Surprisingly, the first time I used it, after all that tightening I expected it to leave my skin impossibly dry but I was surprised that it didn't add to any dryness. It helped combat my slight breakouts and any redness I had. Still after using any kind of mud mask, always moisturise well. This is my favourite product from this kit besides being one of my top face masks now. 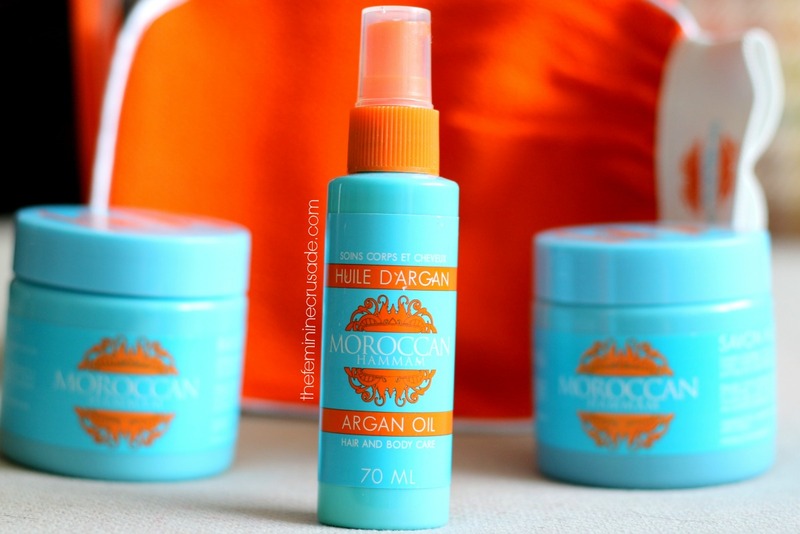 As far as I have read on the internet pure argan oil comes in glass bottles. Considering this one is in a plastic bottle, I do think it is not in its purest form. 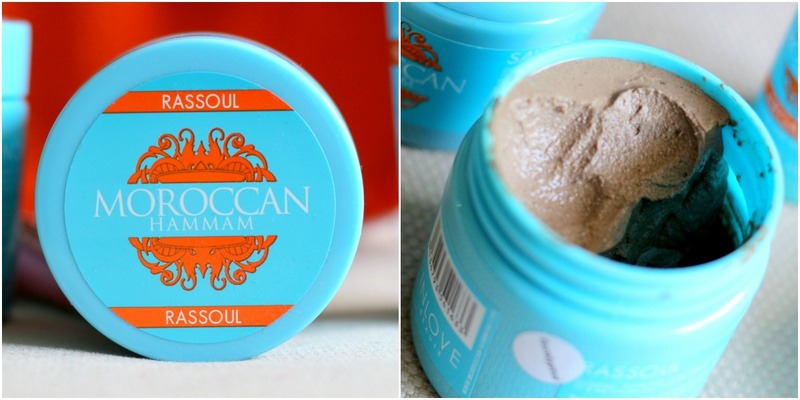 Anyways, this can be used on the hair, face, body wherever you want some deep moisture. To be honest, I did not find it to be a wondrous product. For one, I steer clear of using oils on my face because I end up with bad breakouts. Apart from that it functioned like any other oil would. I have to use veryyyy little amount or it makes my hair greasy and the verrrry little amount does not make much of a difference to my hair. I prefer my other hair serums over it. As for the body, yes it would be awesome in winter for dry skin people but right now it did feel oily on my body. Apart from the Argan Oil this kit has some great products. These products are sold individually too but I think that option is not too cost-friendly. 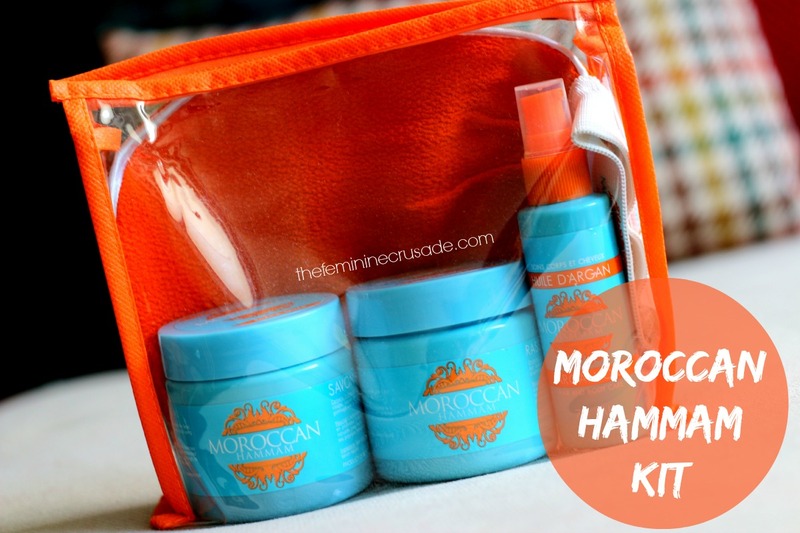 To purchase this Morroccan Hammam Kit click here.